When Anthony Newley and Leslie Bricusse wrote their 1965 song “Feeling Good”, odds were pretty close to zero that the couple could imagine that this is what young Arab citizens 46 years later would be feeling – and in many places singing, thinking or shouting – in reaction to Tunisia’s “Jasmine Revolution”. With over a million Egyptians crowding Cairo’s Tahrir (Liberation) Square today demanding that Egyptian President Hosni Mubarak resign, it is hard not to wonder if in fact this new dawn is breaking. In fact the Tunisian revolution, which led to the forced resignation of President Zine El Abidine Ben Ali, not only inspired hope in Middle Eastern youth living under tyrannies, but has also served as a warning to other governments in the region. Quite a number of recent economic regulations, such as Jordan’s decision to lower income taxes, have been passed in an attempt to avoid that most feared event – street protests. Alongside these political precautions, religious figures like Sheikh Salah Nassar, the Imam of Al-Azhar Mosque, have used public forums like television to discourage youth from acts of self-immolation. Of course, Nassar was referring to individuals like Mohammed Bouazizi, the young Tunisian fruit seller who lit himself on fire and launched a revolution. However, it seems that neither religion nor force are dissuading young people in Algeria, Yemen, Jordan and other countries from taking to the streets in support of democratic change. A powerful youth-lobby claims to be “cooking up” even bigger protests which are yet to come. But this week all eyes are on Egypt. A relatively “small” march against inequality, poverty and unemployment on 25 January – comprising thousands of Egyptians – soon evolved into “the Friday of anger”. Thousands more Egyptians demonstrated against the system, the governing political party and the president, prompting authorities to block the internet, mobile services and landlines, thereby adding more fuel to the fire. Today, on 1 February the protests reach their seventh day. 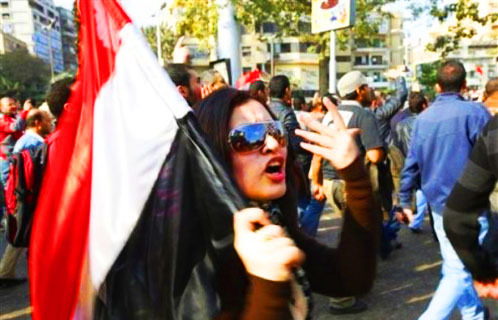 While many hope for the same results that they saw in Tunisia, the situation in Egypt is different. 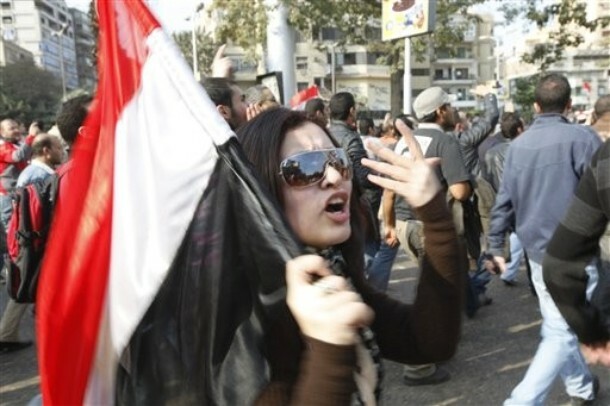 Mubarak has a history of absorbing the anger of those protesting against him. As Yasser Khalil, a young Egyptian journalist and researcher, explains in a recent blog post, the President has often responded with small concessions and short-term fixes that shift the focus away from the roots of the problems facing youth, some of whom have been desperate enough to light themselves on fire to make a statement. In fact despite the massive demonstrations, Mubarak’s only concession so far has been to dissolve parliament and name Omar Suleiman, former head of Egyptian intelligence, as vice president on 29 January, a decision many feel is not real change. Mubarak has thus far refused to step down. In addition, unlike in Tunisia, there is an enormous security force in Egypt, only 450,000 of whom are enrolled in the army. This large security and police force is rooted within Mubarak’s system and unlikely to join the ranks of the dissidents, as occurred in Tunisia’s revolution. Arab and international media have reported individuals dressed as civilians but suspected to be security forces, promoting anarchy, releasing criminals from prisons and committing crimes in the name of the “Egyptian revolution”. Yet despite these odds, people continue to gather day after day throughout the country. They have created neighbourhood watch groups to protect their communities from looters, fashioned human chains to protect their national treasures from destruction, and even stepped up to fill the shoes of those who used to direct traffic and arrest criminals. Tunisians were the first to break the silence. And now Egyptians are taking up the torch. This young generation of Arabs is equipped not only with the Blackberries, iPhones, blogs, Twitter, Flickr and Facebook, but also with the conviction to follow Ghandi’s inspiration, to “be the change you want to see in the world”. Is this the start of an Arab renaissance? Farah I. Abdel Sater is Founder and President of the UN Youth Association of Lebanon. She is also a writer and blogger, and has been granted an award by the Agence Universitaire de la Francophonie for her writings on peace. This article was written for the Common Ground News Service (CGNews).